Chile's transport ministry (MTT) unveiled Tuesday the new tender process to renovate operators of half the routes of Santiago's bus system Transantiago, after a previous auction started by the prior administration ended up being halted by a competition tribunal earlier this year. One of the main differences between that process and the new one, the definitive bidding documents of which will be published later this year, is that it will involve four business units divided into 10 smaller divisions with smaller bus fleets, in order to make management easier. Route operations and vehicle supply will be handled in separate contracts. "This way, competition is expected to increase, incentivizing more companies to participate in the tender, as they won't have to own buses to participate," MTT said in a statement. During the presentation of the process, the head of the metropolitan region's public transport office, Fernando Saka, told BNamericas that the value of the contracts to be tendered is still to be determined. "What we are looking for is to lower the costs of the system," he said. Bus terminals and stops will be provided by the state, although operators could request either a bigger fleet or more bus stops in their offers. The operators will initially handle fleets of 300 buses, down from the current 700. Meanwhile, the tenders for the operating contracts for the remaining 50% of the system are expected to be held in 2020-22. The contracts will be divided by size (small, medium, large) and by technology (combustion, electric). As for the operators who will be exiting the system, a transition plan will be in place for the next three years as current contracts expire. 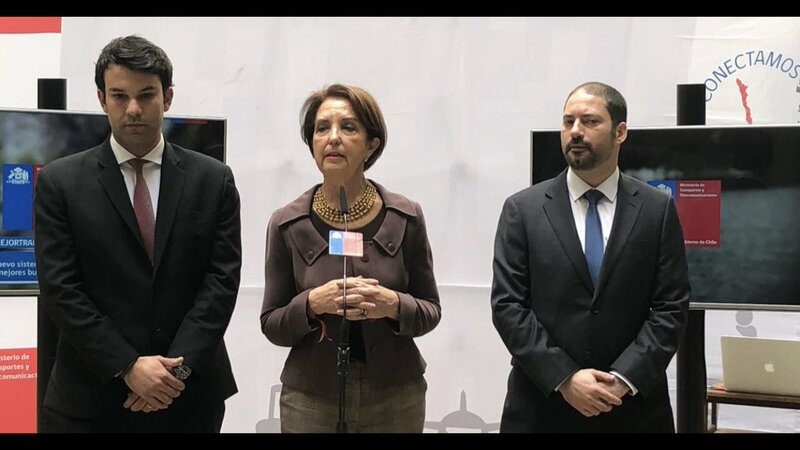 Later, when consulted by BNamericas on how road infrastructure would play a role in the new Transantiago system, dubbed the third millennium transport system by the government, transport minister Gloria Hutt said that "exclusive bus lanes controlled via camera have given us very good results. Corridors [the alternative] such as the one on Vicuña Mackenna avenue or Independencia avenue, which is still unfinished, while giving high priority to buses ... take no less than five years to complete, and have very high costs." The minister said that MTT would keep developing an infrastructure program to improve road conditions in Santiago.